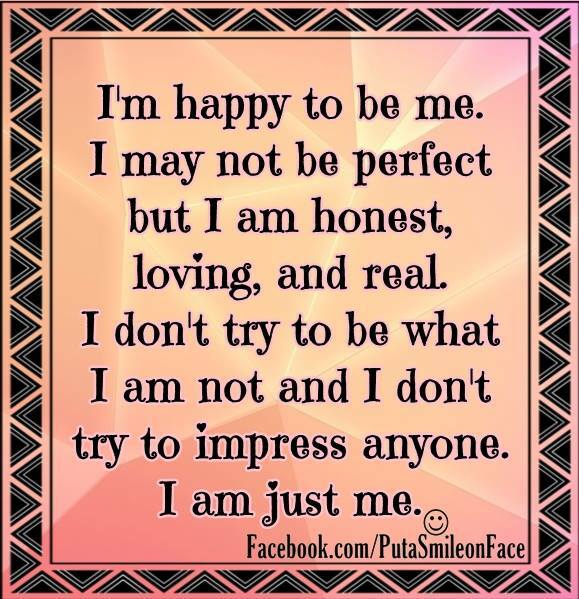 I am happy to be me: I love this saying. I know so many people who are fake and tell lies about people, just to make themselves look better in other peoples eyes. The sad thing is they cant deal with their own demons nor can they be honest with themselves or others. What is the worst thing others believe what them people are saying. So if you are manipulating people ask God to forgive you and to have mercy on your soul and life. Last start telling the truth. There are a lot of people who will talk about you behind your back. Most of them try to make people believe they are the best and most honest person but most people know the truth. I don't try to be what I am not picture/image is an Inspirational Stuff to Inspire and Motivate You. You can download pics by just clicking on the Images. Thanks for visiting Truth Follower an online place for huge collection of inspiring pictures, quotation, and Sayings Images. If you like I don't try to be what I am not, Please Share with friends and family on Facebook, Twitter, and Pinterest.